BMW faced competitive rivalry in the United Kingdom most especially from Mercedes who are their biggest rivals. Mercedes have the second largest market share of cars in the United Kingdom, hence making them a strong competitor against BMW who are the first in market share in the United Kingdom. BMW has had to introduce more brands of cars in the United Kingdom market in a bid to being able to deal with their biggest rivals Mercedes who are a strong in terms of production and quality of the cars that they bring into the United Kingdom market. BMW faces a threat with the introduction of new entrants into the car manufacturing industry in the United Kingdom. This has been evident with the recent introduction of Ford into the market which has taken over some of the market share that was previously owned by BMW due to the quality and affordability of the cars that they bring into the United Kingdom. Other car manufacturing companies have also started bringing cars into the United Kingdom market which is a very big threat to BMW which is one of the biggest car manufacturing companies in the United Kingdom. Offering BMW is faced with a threat because there was the availability of public transport in the United Kingdom which was an alternative for buyers of car. Most people in the United Kingdom will often opt to use public transport means because it is cheap and affordable which has had a drastic effect on the sales of BMW which is the leading car manufacturing company in the United Kingdom. Some of the people in the suburbs in the United Kingdom opt to walk to work or school rather than buy cars which they consider being expensive which has had a huge impact on the reduction of sales for BMW. When car buyers in the United Kingdom are not happy with the quality of cars that BMW brings into the market they will choose not to buy the cars which make them have bargaining power over BMW. BMW has to make sure that the cars that are being sold in the United Kingdom are of the best quality and standards so as to be able to decrease the bargaining power of the buyer. BMW has had to deal with cases where the customer is not satisfied with the customer service offered, and this will make the customer not to come back next time, he/she has to buy a new car which in turn has a drastic effect on the profit margins of BMW (Quam, 2012). BMW has a lot of suppliers who supply them with accessories such as aluminum, steel, plastic and cables. There being many suppliers who would like to supply them with these accessories then BMW will have the upper hand in negotiating for prices of these accessories. This will then have a positive impact on the profit margins that will be faced to the reduction in the cost of production of the cars. Most of the suppliers of these accessories do not have a choice because BMW has an option of having to buy the accessories from other suppliers of the same accessories. Value chain analysis is a process that is used by corporate companies by which they understand the systematic factors and conditions that are necessary in a bid to achieving the biggest market share. In this case, BMW has used the value chain analysis in a bid to achieving a bigger markets share in the United Kingdom through understanding the systematic factors and conditions. The use of information systems by BMW has promoted the value of the cars that are manufactured and brought into the United Kingdom. BMW has also introduced a system that enables customers to have their cars serviced at least twice a year free of charge. This is all in a bid to acquiring a bigger market share in the United Kingdom. In addition to that, BMW has also used the technological advancements in a bid to improving customer interactions which has in turn helped in capturing a bigger market share in the United Kingdom. This has helped BMW so much in that most of the car buyers' today check to see how much and where to find the cars through the internet before actually going out of their way and buying the new cars. E-business solution also allows BMW to be able to advertise their branches / suppliers and where they are found across the United Kingdom in a bid to telling their customers that in case they encounter any kind of problem, they should contact the specific branches / suppliers so as to be able to get the help that they may need. BMW is also using the Application Service Provider solution which enables the headquarters of BMW company to be able to contact and share electronic information with other specific branches / suppliers in a bid to saving time and energy. It would have been a time consuming task if one is to travel from the headquarters to the specific branches / suppliers just to be able to pass information. 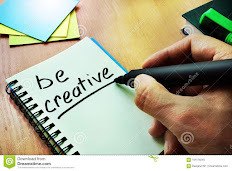 The directors of the company in the headquarters of the company can be able to pass / convey a message to the suppliers who are in the field in a bid to solving the queries that are brought forward by the customers. If a customer raises a query with regard to the cars that are being sold by the suppliers, then the supplier will be able to pass the information to the headquarters and thereby the information will be solved effectively and quickly. On the other hand, BMW has introduced a program that enables its employees to be trained with regards to new programs that are introduced into the market which is a major factor that has helped it to be able to capture a bigger market share in the United Kingdom. 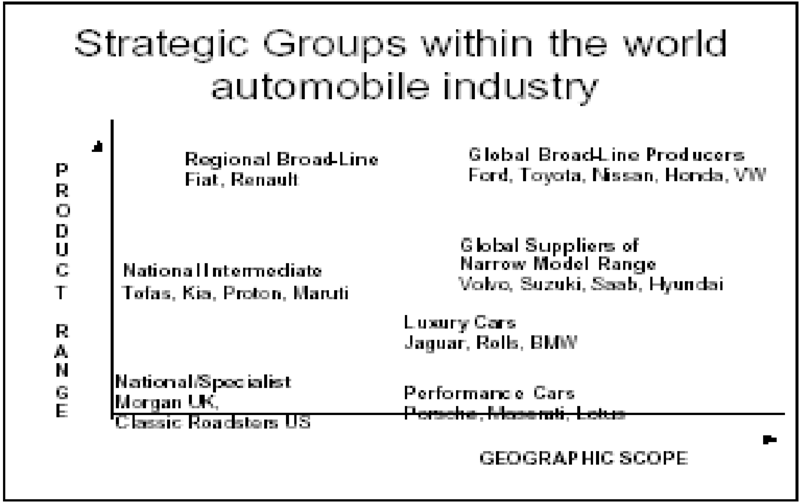 Competitive Strategy Analysis When it comes to competitive strategy, BMW uses the Porter's generic strategy in a bid to being able to capture a bigger market share in the United Kingdom. In the United Kingdom BMW uses cost leadership for it as a company to be able to capture a bigger market share, as opposed to its biggest rivals Mercedes and Toyota. BMW has taken advantage of the scales by which the economy of the United Kingdom run and have reduced the cost of its products significantly so as to be able to capture a bigger market share. BMW has taken the leadership in cost as opposed to its major rivals Mercedes and Toyota. By reducing the prices of the motor vehicles that are being sold in the United Kingdom, most of the car buyers in the United Kingdom have opted to buy cars from BMW which are cheaper and more luxurious, as opposed to those that are offered by their rivals. BMW is a major leading car manufacturing company from Germany and controls a bigger market in the United Kingdom than any other car manufactures in the world. The capturing of the biggest share in the United Kingdom has been affectinged by some factors which include politics. In the political factor, the government has made legislations that have affected the cost of production. Other factors have been economical which include the fall in the value of the Dollar as compared to that of the Euro. In addition to that, some of factors have been social which include clients tending to go for eco-friendly and energy saving cars. Other factors are environmental which include people in the United Kingdom opting to buy cars rather than going with the public transportation. Other factors have been legal which include the subjection of automotives to pollution control measures.